What happens when Great Lakes shipping season ends? This week marks the start of a break in the Great Lakes shipping season. A time when lakes freeze over, the locks at Sault St. Marie shut down, and crews on big freighters go home to their families. But not everyone stops working. During the 10-week break between shipping seasons, ships undergo repairs and crews are laid off from their work. Near the end of the work day at Great Lakes Towing, a company founded over 100 years ago by John D. Rockefeller, three men secured in harnesses weld on the bow of an upside-down tug boat. The company has tug boats stationed from Duluth, Minn., all the way to Buffalo, N.Y., helping clients reach 40 different ports across the Great Lakes. But when shipping season ends, there’s little use for tugs -- and the company changes gears. These days, Great Lakes Towing is not only repairing its own boats, but customer’s boats, too. Completing tug Cleveland is at the top of a long list of projects Great Lakes Towing will complete this year. Workers will also repair a client’s barge that was damaged in western Lake Erie. The company employs about 100 people, but Starck says that number could double with winter ship repairs. Some workers come to Cleveland year after year for the work. But what happens to all the ship captains, engineers, and deckhands? “Basically they’re all laid off, and then it’s up to them what they do,” said John Clemons, regional vice president of the American Maritime Officers Union, which has about 400 members. “I myself picked up work working on ships, doing repair work for them. The life of a sailor is a grueling, 24/7 commitment. Some work what’s called a 60-30 schedule, 60 straight days working, then a 30-day break. Almost 200 people work aboard the nine vessels of the Interlake Steamship Company, and they have a few options during the winter hiatus. 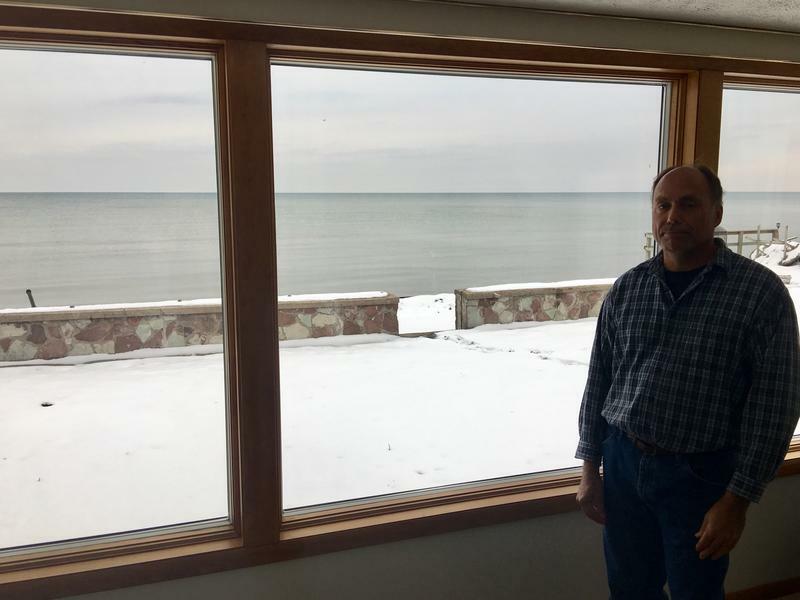 “There are some that elect to participate in winter maintenance program and that could be a shipyard in Sturgeon Bay, Wisconsin, a shipyard in Superior, a layup dock in Detroit,” said Interlake's Brendan O’Connor. Everyone – from shipping companies to engineers – is looking for a better season in 2017. They hope President Trump’s promise to rebuild the nation’s roads, bridges and waterways brings new opportunities to the Great Lakes. “Any project that requires more steel and more building materials will help our business,” said Starck. Interlake's O’Connor has a good feeling about 2017, too. “People do feel a sense of hopeful opportunity with the focus on infrastructure in the Midwest." The federal government has already recognized the need to improve the region’s infrastructure. The U.S. Treasury Department recently released a report that lists a renovation of the Soo Locks, which connect Lake Superior to the rest of the Great Lakes, as one of the country’s key projects. The 2017 shipping season officially begins at the end of March. Most shipping on the Great Lakes comes to a close with the Soo Locks shutdown on Sunday. It’s the end of a rough year for cargo companies. According to the Lake Carriers Association, Great Lakes freighters transported over 83 million tons of cargo in 2016. That was a 4.5 percent decline compared to 2015. 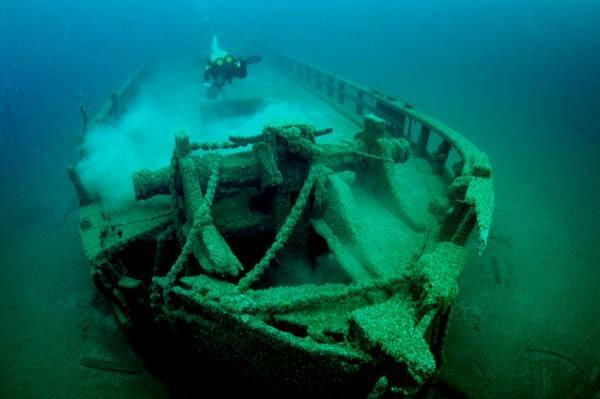 The U.S. government is seeking public comment on plans to protect historic shipwrecks by creating a new national marine sanctuary in Lake Michigan. On Monday, Jan. 9, NOAA began taking comments on its plan to protect 1,075 square miles of the lake.